Back in 2006 I reviewed the NZXT Adamas premium aluminum chassis; a case that I considered to be very sturdy and to have a very cool appearance. Over the next several years plenty of NZXT cases were covered at Bigbruin.com, but none of them happened to come my way. When NZXT recently offered one of their latest cases, the H2 Classic Series Silent Midtower, I jumped on it. After almost five years I wanted to see what new features NZXT might have to offer with their case designs. The promotional image above provides a quick look at the NZXT H2 Classic Series Silent midtower case. While it may look big in this picture, it is a midtower case, and we will take a much closer look at it over the next few pages. Before getting to the review of the H2, let's take a look at some of the features and specifications found on the official product page on the NZXT website. 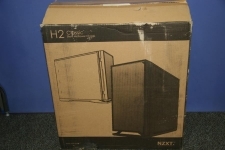 The NZXT H2 Classic Series Silent midtower case arrived in a fairly standard cardboard box. There was no fancy glossy shell with colored pictures of the case; just some black and white illustrations of the case printed on the front of the box. 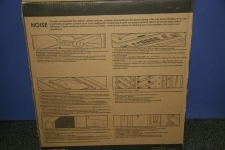 The back of the box details some of the key features and specifications, with a few more monochrome illustrations. 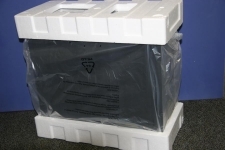 Inside the box, the case is wrapped in the typical plastic bag with foam inserts to keep it dent free during the shipping process. NZXT includes more than enough screws and extra stuff to help the installation go smoothly. 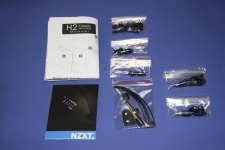 In the image below there is one fold out manual, an NZXT product pamphlet, a large selection of black screws, motherboard standoffs, some wire ties, a speaker, and four rubber feet.